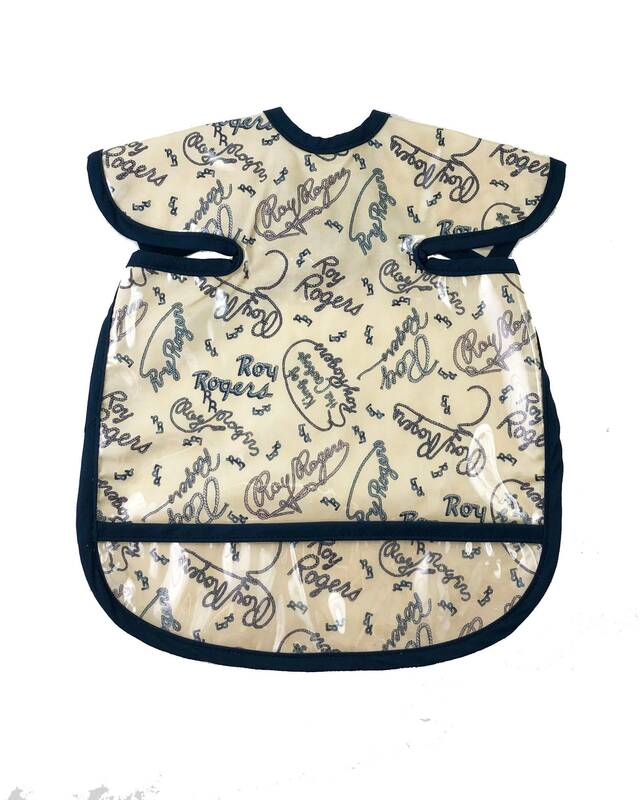 Our deluxe apron bibs are made with lead free, safe plastic. Use for babies 8 months to 24 months. Pocket catches excess drink and food. Apron bibs tie in the back. Not easy to tear off! They are approximately 14" wide and 16" tall. No shoulder wiping, plastic covered shoulders!